Samsung is the latest company to release a messaging app, the company’s new app is called Socializer Messenger. The new Samsung Socializer Messenger app has been built on the ‘Telegram for Android’ open source project, this allows web apps to be shared without the need for additional downloads. With mobile devices such a central part of people’s lives these days, messaging applications have become hugely important for communications and staying in touch. Instant messaging programs can be used to share pictures and videos, and the option to add stickers and emoticons has really enriched communication when chatting. Now, however, there’s a new messaging app on the scene, taking mobile communications to the next level through its enhanced features and content—Samsung’s Socializer Messenger App. Let’s take a look at what makes this new app so innovative and useful. 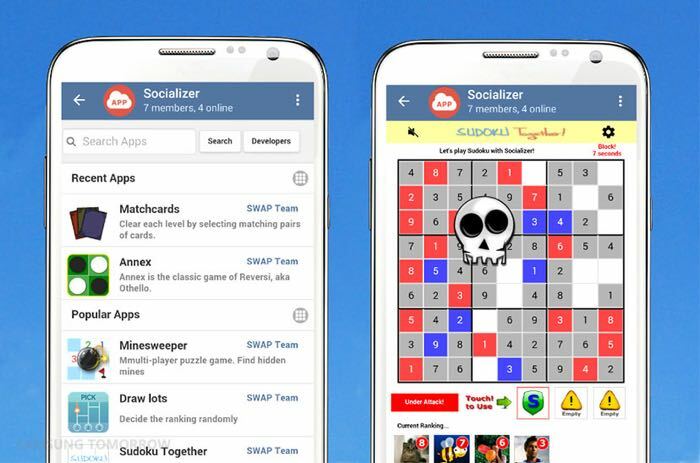 You can download the Socializer Messenger app for Android over at the Google Play store, you can also find out more information about the app over at Samsung at the link below.